His Father's Voice | His Father's Voice | OK Listen! 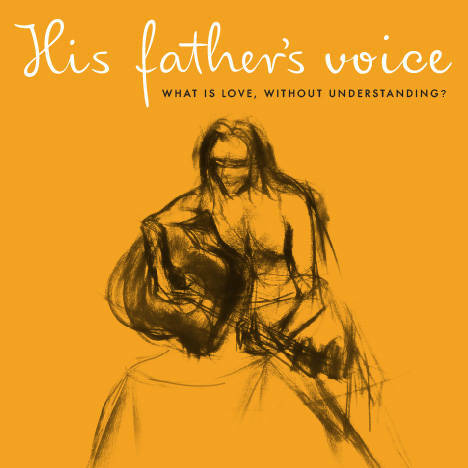 The songs from the English Feature Film, "His Father's Voice" have been composed by Vedanth Bharadwaj. The music is a unique blend of Indian Classical, Folk, and Western Music. The album is an artistic explosion of seasoned and talented musicians such as Bindhumalini Narayanaswamy, Vedanth Bharadwaj, Jeremy Roske, Anil Srinivasan, Napier Peter Naveenkumar, Navin Chandar, Bhawani Prasad, Prashanth Techno, MT Aditya Srinivasan, Akshay Ananthapadmanabhan, Keshava Kaarthikeyan, and PT Narendran. The songs, recorded at Vedanth's studio Sa.Ma in Chennai, are mixed and mastered by Navneeth Balachanderan. English lyrics by Kaarthikeyan Kirubhakaran. Marathi lyrics by Neeta Patil. Traditional Sanskrit lyrics by the mystic poets, Bhavabhuti and Jayadeva. "His Father's Voice", written, produced and directed by Kaarthikeyan Kirubhakaran, distributed by Indie Rights USA, premiers on the 19th April 2019, at Arena Cinelounge, Sunset Boulevard, Hollywood, USA. What is love without understanding?